The class 8 truck market is hot, hot, hot! Manufacturers are seeing some of the strongest numbers in terms of orders placed in recent memory. 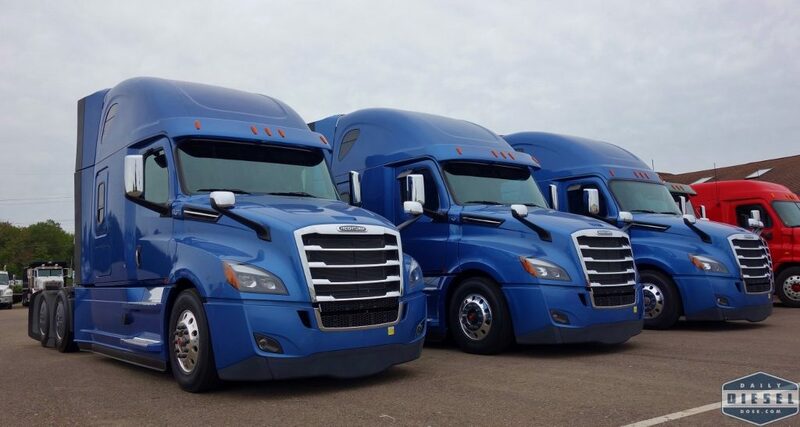 Big fleets are placing big orders for over the road trucks. 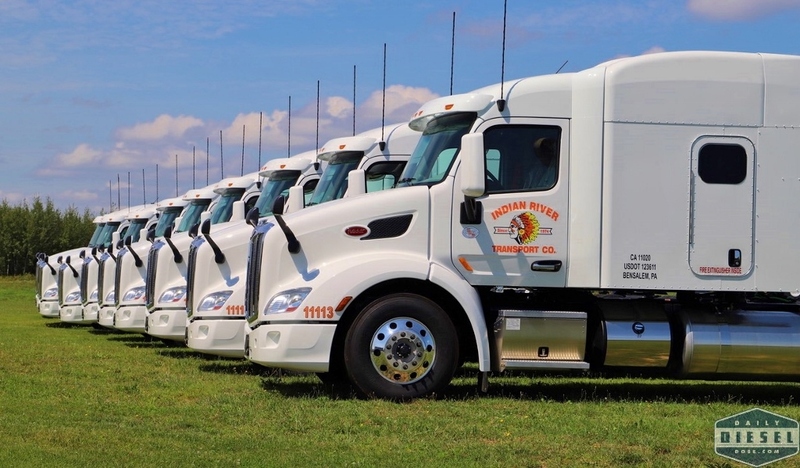 Here we see a line of new Peterbilt 579 model trucks for Indian River Transport of Bensalem, PA. Thanks for the shot Hugh. Swinging by the local Kenworth dealer I found a similar sight with a row of T-680s for System Freight of Jamesburg, NJ. And unlike the other two photos I’m not sure where these Cascadias are destined to call home. Some mysteries are better left alone. This entry was posted in At the Dealer. Bookmark the permalink.